3 Teams. 1 Strategy. No Results. I should be writing a piece on my mid-season performance in fantasy football this week. Maybe I am being a bit too pessimistic to my approach, but having experienced 29 years of fantasy football I know chances to take home a championship have dwindled this season for a myriad of reasons. This year was the first (and last) year of participating in a 14 team league and having a terrible experience currently 1-7. In my opinion 14 teams is too many. At work I started off well going 5-3, but have drop 3 games in the last 5 weeks. As for the league I manage, the TFL I am 4-4 but in 9th place overall based on total points. Being 1-7 is tough, now 8 weeks down with 5 remaining, all I would need to win to have an outside shot at a playoff spot. Based on how poorly my team has performed, I can’t even put a positive spin on my team. The loss of Fred Jackson early on hurt me. This injury was followed by Cedric Benson, which left me DeMarco Murray who was injured in week 7 and didn’t play in week 8. Need I mention he was my #1 pick in (13th overall) the draft. To be honest, my team is unrecognizable in week 8 compared to who I drafted. At QB, Philip Rivers has killed me all season long. I decided to pick up Christian Ponder and start him the rest of the way, as I have long lost faith in the coaching and management of the Chargers. Another Charger who hasn’t impressed, Antonio Gates, who has showed up for exactly 1 game this season. I also had Nate Kaeding before I lost him to injury earlier this year, but made the decision not to pick up his replacement opting for Greg Zuerlein. Oh players I drafted Steven Ridley has probably been my best performer, but even his play has been inconsistent. Speaking of inconsistency, Dez Bryant was quiet though 3 weeks, but has come to life in 3 of the last 4 games, hopefully this is a positive sign for during a dismal season. The last few weeks I have picked up Jonathan Dwyer, Chris Givens, Mikel Leshoure and Titus Young. Players who had been jettisoned by other teams to make way for other hot talent on the wire. Currently there are no players on the wire who could turn my season around. I suspect I will finish the season with a 2-11 record. My team has been unable to score, even the victory I had 2 weeks ago was only by a slim 3 point margin. So put a fork in this team, I will play out the season and not play in another 14 team league again. At work we use ESPN and I am the commissioner for the 3rd year in a row. I won the league 2 years ago and thought I was on the winning track to start the 2012 season. I have been derailed the past few weeks suffering 3 loses and dropping me to 5-3. Still with that record I am in a position to make the playoffs and looking at my remaining schedule I play only 1 team with a winning record. So while the match ups favor me, I just need to see production out of a team that posted a 153 point score in week 5. I know the team can score, but inconsistency seems to have gotten the better of this team the past 5 weeks. The team is anchored by Drew Brees, who came off his worst performance of the season last night. Injuries to Ahmad Bradshaw and Reggie Bush during the year have slowed their play recently, in which I suffered two of those loses. I don’t see Daryl Richardson as a legit starter for either of these RBs. Given we have only 5 bench spots (12 team league) I am only carrying 3 RBs. Not a wise move on my part. This was another league that I had Nate Kaeding in, with his move to the IR due to injury I went with Shayne Graham initially, but after 2 weeks moved on to Greg Zuerlein who seemed to have more field goal chances. That move has paid off as well…until this week when STL score only 7 points. My backup QB is Philip Rivers and had thoughts about going to him early on while I put Drew Brees on the trade block, where he has been for 8 weeks with no interest from other owners. I was expecting a #1 RB and still believe he is worth that in return. Maybe as teams jockey for playoff position I will deal Bress and hope to see Rivers turn things around. If not there is always Christian Ponder and Brandon Weeden on the waiver wire. Of the three leagues, this is my best chance at taking a championship. Finally, the TFL the league that is near and dear to my heart where I have been the commissioner since we christened the league back in 1983-1984. Unfortunately it’s been rough in this 10-team league this season. It’s a league where the main payout is for total points, while the H2H is a separate payout. This allows the possibility of more owners having an interest in the season. Currently I am in 9th place in total points, already 188 points out of the top spot. While that lead isn’t insurmountable, I have a hard time finding those points and making up that lead. After MNF I will be 4-4. Each odd week I seem to win, but every even week I seem to lose. That has been the pattern this year. I felt this was one of the stronger teams I had built the last 10 years. After drawing the #1 pick I opted to drop to 4th and built my team around Drew Brees with Christian Ponder as my surprise starter as the QB2 every week but one. Injuries to Matt Forte and Reggie Bush put me in a bind early at RB, but the loss of Cedric Benson has put me in a bind. I continue to start Darren Sproles, who like many other players isn’t having the sort of year like he did last year. He has put together 2 good back to back week and the Saints continue to score. The only talent on the bench is Jonathan Stewart and Lamar Miller, who was a last minute pickup last week to cover a bye. Stewart hasn’t been in the starting line up to date. The best part of this team, the WRs build around Larry Fitzgerald, Andre Johnson and Dez Bryant. Unfortunately all three have been inconsistent, but at least they have been healthy for the most part. On the bench I have Brandon Lloyd and Mike Williams, both who have seen action in recent weeks to help me win a few games. I need to see more production from Fitzgerald and more importantly Andre Johnson (drafted round 3 and round 4). Of all the WRs I have Mike Williams is having the best season. On a positive note points have been on the increase for Johnson and Fitzgerald, hopefully that trend continues as it will be my only hope. It comes as no surprise that I could be starting 4 WRs the rest of the season. I drafted Fred Davis and lost him to injury. I picked up Martellus Bennett and Dennis Pitta, much like I did in my work league. At the time of their pick up they were the hottest couple of TE in the league. The past few weeks they have returned to pack in terms of statistics. Bennett has been the starter the past few weeks is well off his early season pace. An omen before week 1 started was the loss of both my kickers, one to IR the other to being cut. I picked up Shayne Graham and Greg Zuerlein. Both have played welled and Zuerlein has been very impressive for much of the season. I can see my strategy through all three leagues. This strategy didn’t work well in the 14-team league, a draft I did prepare for very well. I figured with the showing I had in this league last year (when it was 12-teams) losing the championship game by 2 points I figured I could build another good team. Unfortunately not getting a good draft position I have struggled all season long. At work I still feel confident this team will produce and bring me a championship, especially with the weak schedule I have remaining. As long as I can avoid further injury at RB, I should put myself in a position to have a strong run in the playoffs. I will continue on trying to work a deal to trade Brees for a legitimate RB1, no idea if I will have takers. I might start looking at playoff match ups a bit closer after week 8 ends. The TFL is the tough one to call (10-team league). I know I don’t have enough in my starting line up to compete. If I make the playoffs it will be luck pulling me through. While I have big names, I don’t believe they will impact my team as I anticipate. With the exception of week 8 I had surpassed 100 points each week, but no longer is 100 points the standard, it’s more of the low end average. So I ride the remainder of the season out performing my commissioner duties and look towards our 30 year draft in Las Vegas next year. In the immortal words of “Dandy” Don Meredith during Monday Night Football, “turn out the lights…the party’s over.” In fact this party was over after Week 10 when I officially threw in the towel on the 2010-2011 TFL Season. I knew after the draft I did not have a chance at defending my double championship from the 2009-2010 season. While there is still 1 week remaining in the current TFL season, I feel can look back in retrospect and review the season that was. Unfortunately it was a very difficult season, one in which I faced after a very mediocre draft. Part of my problem was very little preparation leading up the draft, which was the online variety since the league could not come to an agreement on a viable Vegas date to draft. I will be very thankful for mistakenly stumbling upon a new, online resource called Fantasy Football Starters, managed by Ready-Set-Go Fantasy Sports out of Phoenix, Arizona. Until this year I had been subscribing to Rotowire, and using my father’s account at The Huddle. If it had not been for this online resource my season would have turned out worse then it did. More about this resource later. While a draft won’t make your fantasy season, it can break you very quickly. It was quite evident as I inventoried and reviewed my team at the conclusion of the draft. Honestly, it was one of the worst drafts I had put together in a number of years. Okay, so it was not as bad as selecting Ali-Haji Shiekh with the #1 overall pick, but close. Having the #2 pick in the overall draft I knew I would be getting Adrian Peterson or Chris Johnson. Thankfully I got AP, but he has not had the sort of year he did in 2009 or 2008. He has been off that based due to injuries and Minnesota losing Favre and having to go wtih a rookie QB at times. Still I was pleased with this pick. Roddy White in the second seemed to be a solid selection, based on output the previous few years he has exceeded my expectations, unfortunately after Week 10 he has only scored 1 TD. Round 3 was a killer, Shonn Greene. Need I say am more? He was slated to pick up most of the work with the departure of Thomas Jones to KC, but the introduction of LT to the Jets made Rex Ryan never commit to either RB. While he has put up better rushing numbers this year, 2 TD scored as a 3rd round draft pick derailed me. Having to put up with zeroes or single digits (outside of Week 11, didn’t play him in Week 16) caused all sort of problems. I should of traded him when I had the offer early in the season. Based on my draft strategy I rolled the dice with Jay Cutler. I blame this selection on my lack of preparation this year and the fact I printed up the WRONG cheat sheets I had planned on using. Instead of the tier sheets I used a ranking system that had Cutler as the best remaining QB, so I drafted him. I have been a Jay Cutler Support Group member all year long. Thanks Cody for starting this group! He has outstanding the first few weeks, lost his touch, then got mauled by the Giants, but rebounded nicely after the Week 8 bye. Other possible selections were Ryan, Palmer, Orton and Cassel. Of course Vick too, but he wasn’t the starter heading into the season. The team took a step backwards with the selection of Ochocinco. I knew better then to draft him. Never draft a player with a big ego who changes their name. Although, early on it looked like a strong pick Chad dropped 21 points the opening day but then fell into obscurity until Week 7 and never recovered. TO was the bigger playmaker for the Bengals this year. Chalk this pick up to stupidity! Round 6 I felt good with Matt Forte, who was coming off a “sophomore slump” season in 2009. I did have some concern with Forte and Cutler both being Bears and now in the starting line up. Much like Ochocinco, Forte got off with a big start 29 points, but it was mostly through the air, not on the ground. He only lasted to Week 4 when I traded him and Gostkowski for Matt Schaub. I was in need of a QB at the time, not happy with the play of Cutler or that of Alex Smith. Vernon Davis has been a very solid pick in the 7th round, especially with all the controversy and QB issues in SF, he put up solid numbers all year long. While his numbers are were down across the board (receptions, yards, TD) he was one of the more consistent players during this TFL season. Next to Gates, he is arguably one of the best TE (gotten include Witten in this group as well) in the NFL. I took a bit of a flier selecting Felix Jones in Round 9, hoping he would be the feature back in a 3 RB system. While it damn near half a season, Jerry Jones finally said Felix should get the ball, but it never really amounted to much. Much like Shonn Greene, Felix Jones has been a bust this season. Mike Sims-Walker was one of the more consistent players for Jacksonville, but that does not necessarily equate to good fantasy football statistics. His play has been up and down all year, outside of two 100 yard games [Week 2 & Week 8] and a splattering of TDs over the course of the year. I have not played him much this year scoring only 21 of a possible 67 points. I feel I had some better options, but in the 9th round he should have been a regular starter in my opinion. Round 10, please no questions as to why I drafted Alex Smith of San Francisco. Part of it might have been the hype about the 49ers actually being good this year and winning the division. I was drafting him to be a back up and not a full time starter, unfortunately things did not work out as planned. Smith ended up starting 6 of the first 7 games, only sitting when I picked up Schaub in a trade. He would leave Week 7 vs Carolina injured and then not start again until Week 14 and a 255 yard, 3 TD performance, only to be benched 2 weeks later after a poor showing against SD. All in all he did win me four H2H games early in the season, so he was not a complete bust. Tim Hightower in Round 11 had some early season success…okay, 2 weeks worth and then he disappeared until Week 14. The “flaming dumpster” or Arizona Cardinals had all sorts of QB issues, releasing Leinart and then moving Anderson, Hall and Skelton in and out all year. Their rushing game never did get on track all year and the offense suffered all year. Thankfully I did maximize my points with Hightower, but overall he was not a good selection this year. Things only get worse from here on out as I drafted Lee Evans, who only lasted 5 weeks before I dropped him in favor of Josh Scobee, after trading away Gostkowski earlier in the season. Evans scored all of 2 points for me and was slated as a reserve WR. I usually draft kickers earlier, but I held off as long as I could before drafting a preseason favorite in Stephen Gostkowski. He did not start off particularly well missing 2 FGs in the opener and then another during Week 2. Needless to say, this had me rethinking my selection of Gostkowski. I packaged him in a deal to get Schaub. Another late round bust I sent packing was Jerricho Cotchery. Why I settled on a NY Jets wide receiver on a team that is a run first offense had me rethinking this pick after I drafted him. Cotchery only lasted 3 weeks on my team before finding his way to the FA pool in favor of hot prospect, Brandon Tate, the week that Randy Moss departed the Patriots. Another kicker in Round 15, as I usually start two of them and have since the early days of our league. I selected Lawrence Tynes. Unfortunately most of the year I have used the 2 QB format, which means when Tynes has been in the starting line he has only scored 59 of a possibly 103 points. This is well of the pace of where I expect my kickers to be. If I had it my way I would want a kicker up in the 140-150 point range to be consider “elite” in any given fantasy. I still find it hard to believe the “fat man” is leading the league in points. By the way, that is Janikowski. Rounds 16 and 17 were merely back up players. I picked up Kevin Walter, who might have been good enough to hold down WR3 numbers, but 56 points on the year isn’t too exciting, then again Schaub is having an off year. I also missed out on Walter during the first 3 weeks, when he was his best, scoring 32 points. Kevin was sent to the wire after Week 6, when I decided to pick up James Starks, yet another prospect that didn’t pan out. Did I mention FFS yet? Round 17 was nothing more then a back up for Rashard Mendenhall, who was dropped after Week 1. I did add Mike Williams (TB) in his place, who I have been happy with for most of the year. Finally my final pick of the draft was Todd Heap, who has long lost his fantasy title as a top TE, due to his lack of production and injuries. But, if you ask me is always good as a fill in for a bye week. I did get lucky this year with Heap, as I played him in Week 7, where he had 3 catches for 52 yards and 2 TDs. Outside of that week I used him as a cover for Davis and nothing more. This year has also been my biggest year using the waiver wire. Typically I don’t like dropping $10 to make weekly moves in order to better my team. I like to think I drafted a solid team with backups and I should be able to compete on a weekly basis. That was not the case this year. I used the waiver wire 7 times, which is not much over the course of a 17 game season. I was the fourth lowest user of the wire this year. The only real move that paid off was dropping Moore for Mike Williams (TB) I did speculate on Keiland Williams (WAS RB), played him one week and the Ryan Torain returned. It looked as if Patrick Crayton would be a solid pick up after Malcom Floyd went down, but I had him 2 weeks and he injured his wrist after 3-105 1 TD performance in Week 11 vs Denver. So much for that move too. Once injured I made3 the move for Nate Washington after Week 11, but to day he still has not recorded any points for my team. This year just was not meant to be, I knew this at the conclusion of the draft too. I had not put together anything that resembled a championship team, but was lead down a rosy path for the first 2 weeks of the season as I was in first, followed by second during that time. It only got worse from there on out. My slide continued until Week 6 when I found myself in 8th. The following week my team decides to show up and wins me the based on total points and my H2H match up with 127 points. That would move me up to 4th place, which would he the highest I saw the remainder of the year. As with the previous 27 season in the TFL I have learned a great much this year, because of my involvement with the forums over at Fantasy Football Starters. I see the errors of my way in the draft and will look to build a stronger team in 2011 (if we have football), when the owners meet, poolside in the cabana at The Palms in Las Vegas. Now that I have spent a year with my new online resource I have a new outlook on how to approach the season. Most importantly, don’t go into the season unprepared and cold. I think these days with the Internet and the “fast and easy” cheat sheets owners don’t do much of the legwork we did back in the 80s and early 90s when Street & Smith’s was the definitive words on all things fantasy. That is no longer the case. What I really enjoy about FFS is the fact I get to interact with the RSGFS guys, as well as other owners who have a vested interest to have the best performing team any given week. Now I might not agree with some of the other owners on a weekly basis (Right, Cody?) but I still respect their opinion and value their input. That is what makes this online resource the most valuable one I have used in some 27 years of fantasy football. 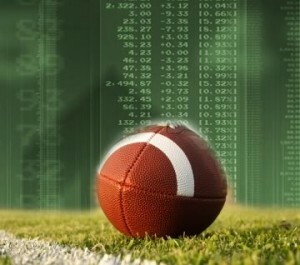 I have found the last resource site for fantasy football I will ever need. The site did something else this year as well. I believe is has changed my approach to fantasy football. No longer will I be afraid to use the waiver wire. Some of the best players this season came from the wire; Peyton Hillis and Mike Vick are probably the most notable. For the first time I will even participate in some mock drafts before the 2011 season, something I have never done in the past. I might even break from my draft strategy, depending on where I am in next year’s draft. My draft strategy is very similar to what Russ Bliss has posted about on FFS. You can read about my 2010 draft, here. Ten hours of diddles in the NAQP RTTY Contest and now it’s time to take a look back. This would be the first time I worked all 10 hours of any NAQP. I spent the better part of two days reviewing previous RTTY contests, last year’s NAQP RTTY results. I weighed my 2009 performance into the equation, but only minimally. This because I only spent 3:43 working in the contest for 72 QSOs. This year would be another story as a full effort was being planned. Much like previous contests, 15/20M would be my “big gun” bands from my little pistol station, while 40/80M would make up the remaining difference, based on my goal of 350 QSOs. Ask expected, 20M did not let me down and I was very pleased with my time spent on 15M. While the numbers don’t really reflect my work on 40/80M, I was frustrated once I made my way to the low bands. Chalk this up the short opening on 40M and the excessive noise on 80M, while not being able to be heard on the East Coast. I had set what I thought were “reasonable” goals for my 10 hour effort during the NAQP. For only the second time I created an .OBF file, which set my contest objectives in Win-Test. These figures were based on band, time of days and anticipated QSOs/mults. I did not really include the required 2 hour off time because no decision had been made as to when I would do that. More on those objectives in my next update. I am somewhat frustrated by my results from this contest. I cam close to my goal of 350 QSOs, but missed out on achieving it by 8 QSOs. On the other hand, I exceeded goal of 125 mults by 12 for a total of 137. The good news is I beat my anticipated final score (43,750) by 3,104, scoring 46,854. Those additional mults really helped out the final score. I was fortunate enough to see action on 20-80M, with a single QSO (thanks W6YX) on 10M (a first!) at the top of the third hour. Most of my contacts the first two hours were S&P on 15/20M. I attempted to set up to run a frequency, but the rate never materialized on either band. I was still able to get a 25 rate for the first two hours, which was better than I had anticipated. It would be the next two hours that would make this contest a success for me. From 20-22z I was able to make 99 QSOs as I established runs on both 15M and 20M. The work I did on 15M during 20z was wonderful as contacts flowed on a regular basis, nearly a contact every minute. When 15M started to slow down I jumped to 20M which saw me set a 55 rate between 21-22z! This is a new high for my contesting experience and what a great feeling to have contacts continually rolling in. I established myself just about 14.080 and ran for well over an hour, maintaining a good rate for my station and experience level. As I neared the 5 hour mark I had made the decision to cut the contest short and not work the final two hours. In hindsight this was probably a mistake as I could have used more time on 40/80M. As luck would have it 40M did not last long and I probably made the most of my time on that band. There was a definite drop in activity from 23-01z as my rate slipped under 20 QSOs/hr. Better planning would of seen my take my two hour break while 20M was closing and 40M was opening. After sunset it was all low band activity. As I have read from others in California, the 40M window did not last long, but it was long enough to get some QSOs before making the jump to 80M to ride out the contest. I knew not to expect too much from 40M, but even less from 80M. As it turned out, both bands had better totals than 15M, but for some reason I feel I was stronger on 15M, but that I attribute to my run on that band. I saw it mentioned by others, but 80M was noisy, especially into the East Coast. There were some very strong signals, but no matter how hard I tried I could not be heard, so I had to continue spinning the dial to the next signal. I spent no time running 40 or 80M. I felt I could keep a better rate if I continue in S&P. It would have worked to my advantage to spent the last two hours in the seat working 80M, as this would have given me the necessary QSOs I was looking for when I set my goal. The 14 and 19 rates I had from 23-01z would have been replaced by a 25-30 rate from 06-08z. Now I am just speculating here, but I know I could have worked some more stations and even picked up a few more mults. Speaking of stations I was not close on securing all mults on any band. There were many stations I did not hear or were not involved. One state I did not miss out this time around was Delaware. Strangely enough I made two QSOs with Delaware in the span of 2 minutes. I guess that is contesting. I’ll have some final thoughts later today when I review my hour by hour log. Overall I will consider NAQP RTTY a success even though I missed out on my QSO goal. Thankfully the mults pulled me through and my final score was better than anticipated. I guess there is much to say about hams, their love for the hobby, as well as the support and guidance they provide. As I previously posted I thought my weekend was shot after reading about my inverted RTTY signal during the Thursday night practice session. I guess this is my answer to WHY no one on 15/20M would ever answer my CQ call, because they could not hear it. So I owe N6ML, Iain some props for drawing that to my attention. I am still not sure why the set up was not working correctly. There is time to troubleshoot before the next RTTY event. The first 4 hours of the contest were slow, to say the least, only 27 QSOs. This was after my attempts to solicit for help from three different Yahoo Groups, as well as the brain trust of the NCCC. Thankfully, Dean, n6DE, Hank, W6SX and Bob, W6XX came to my aid and provided me enough information to correct my problem and get myself “righted” and moving forward. In fact, I knew what the problem was and how to fix it, but there are some “issues” with the FT-1000MP that I will be addressing in the coming days. In my pre-contest strategy I was told by Ed, W0YK to maximize scoring by taking advantage of the scoring on 40/80M. It comes as no surprise that 80M was my weakest band…again, but of the 48 QSOs I managed 23 PFX. 15/40M were nearly identical, 96 QSOs on 40M to 94 QSOs on 15M. I had hoped to hear more from Asia and the JAs on Sunday afternoon, but that never materialized. I am glad I took advantage of the “West Coast” chip shot across the Pacific the prior day and scored some good points with the JAs. In the PFX count I had 57 PFX on 40M and 44 on 15M. This meant that 20M was my workhorse band again, which in WPX makes it challenging because QSOs are either 1, 2 or 3 points. This worked to my advantage in the early morning hours on 15/20M when I was able to get a window into EU and AF, although I still missed out on CN2R. EU was very strong and accounted for 18% of my total QSOs. Surprisingly AS was a distant 11% of my QSO total. As I figured, NA accounted for the majority of my contacts (64%), most of which were worked on 20M. Just think of the small increases I could have taken advantage of if some of these 20M QSOs were on 40 or 80M? That difference alone could have put me well over 400,000 points. While I won’t call it handicapped, I was without the use of my Alpha 76PA linear amplifier. Guess what? I really did not miss it much. Sure it would mean I would have submitted a SOAB HP, as opposed to SOAB LP. Looking at the scores roll in from 3830 and the NCCC reflectors, the low power option seemed to be a blessing in disguise. In reality, I am sure I missed out on a handful of contacts, but I sure did well making needed contacts. Sometimes it was as simple as a single call into EU or three or four calls for a JA. Heck even got BA4RF on a single call to start the WPX! While W0YK provided me strategy information, I set my goals the week leading up to the WPX. I looked at 2009 results and how low power in ’6? land fared. I took the top 5 scores and did some statistical analysis on them. I also took the fact I had a very good run in January during the RTTY RU with 652 QSOs in 22.5 hours. Being able to operate another 6.5 hours meant that I could see 600 QSOs again. If those figures held true, then I might have an outside shot at being the top score in ’6? land as a SOAB LP. Last year’s high score for that category was 313,730 by W6FFH (618 QSO, 274 PFX). It was with this information in mind I decided upon my goals. I held off on making it a second RTTY contest at 600 QSOs because the WPX is more of a DX contest and I didn’t believe I would be competitive on the low bands. Thankfully I was able to get things together and ended up with my best ever attempt in any contest. While I could have spent more time in the early morning hours of the low bands I didn’t so I probably lost out on 50-75 QSOs per night. I don’t think I made up all of those missed points by spending more time on 20M, but hey, that is how I did it. I finished up the contest working a full 30 hours, I made 564 QSOs, 307 PFX for 1243 points (2.20 avg) and a final score of 381,601! Not only did I beat every personal goal I went right by last year’s winning total. Could I see my first award in my future? Dunno, but I am very pleased with my performance this weekend.